Frances “Pauline” Lemon, age 101, of Breese and formerly Cherokee Village, AR, died Sunday, January 13, 2019 at Cedarhurst of Breese. She was born June 26, 1917 in Manchester, IL, a daughter of the late George and Ida, nee Fearneyhough, Lemon. 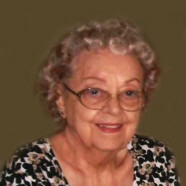 In addition to her parents, she was preceded in death by a son, Lawrence G. O’Kelly; twin brothers, Earl Bushnell and Murl Bushnell and his wife Ardene; sisters, Virginia Whitlock and her husband Ralph, Lucille King and her husband Burt, and Audrey Ontis and her husband Earl; brother-in-law, Larry Adcock; and sister-in-law, Imogene Bushnell. Surviving are her siblings, Doris (William) DeShasier of Breese, Ruth Adcock of Carrollton, and Curtis Bushnell of Wichita Falls, TX; and nieces and nephews. Pauline retired as a registered nurse. A memorial service will be held Saturday, March 9, 2019 at 11:00 a.m. at Barrow Baptist Church in Barrow, IL. Burial of cremains will follow in Manchester City Cemetery, Manchester, IL. Memorials may be made to the donor’s choice and will be received through Moss Funeral Home, 535 N. 5th, Breese, IL 62230 who is serving the Lemon family.